Lifetime Warranty: Full lifetime warranty against any manufacturing defects. If the design on this case ever peels, flakes or wears off, DailyObjects will replace it, completely free of charge. Brilliant, All-Side Images: Our 3D imaging technology (MT3) results in high resolution designs that cover 100% of the case including all sides. Images are permanently embedded into the case, ensuring no peeling, chipping or wearing off, ever! 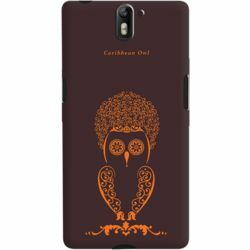 Exclusive Licensed Design: The design on this case is an unique artwork that DailyObjects has exclusively licensed from one of over 50 artists in our international line-up. Complete Protection: Thin, light & durable polycarbonate case protects from scratches and drops. The raised lip on the case sides offers screen protection. The case is seamlessly precision moulded with no sharp edges. Lifetime Warranty: Full lifetime warranty against any manufacturing defects. If the design on this case ever peels, flakes or wears off, DailyObjects will replace it, completely free of charge. Brilliant, All-Side Images: Our 3D imaging technology (MT3) results in high resolution designs that cover 100% of the case including all sides. Images are permanently embedded into the case, ensuring no peeling, chipping or wearing off, ever! Exclusive Licensed Design: The design on this case is an unique artwork that DailyObjects has exclusively licensed from one of over 50 artists in our international line-up. Full Button & Port Access: Precision cut-outs on this case leave all buttons, ports, speakers and microphones completely open. This case is 100% compatible with your regular charger and headphones.